Update: The interstate reopened at about 6:45 a.m.
WALTON, Ky. -- A crash involving at least one semi has closed southbound Interstate 75 just south of the Interstate 71 split. 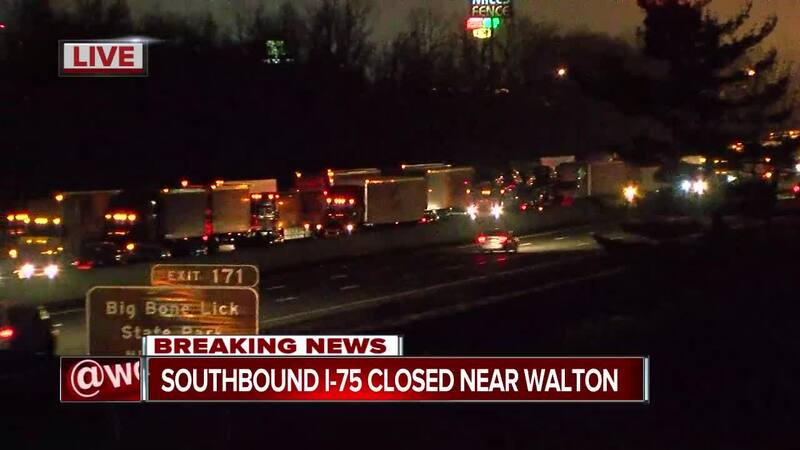 The interstate is closed near exit 171 in Walton, Kentucky. The semi was hauling rolls of steel. Crews started the clean up process at about 4:45 a.m., but there is no word on when the road will reopen. Drivers should take southbound US-25 to avoid the interstate.